Catnip plants, which are part of the mint family, can reach up to 3 feet in height. And even though they can spread rather quickly, they are rather delicate during the first stages of growth. If you grow your own plants, keep them away from your cat. You can fence them off or cover them with a mesh screen until they are sturdy enough. These plants have soft leaves with serrated edges. Their flowers, which are tiny, can be either white or lavender and grow in clusters. Catnip flowers bloom from July through September. Expert gardeners suggest that pinching the catnip plant’s stems and flower buds will stimulate growth. The scientific name of this perennial herb is Nepeta cataria. Catnip is also known as catmint. Strictly speaking, however, catmint is not the same as catnip. Though belonging to the mint family, catmint (Nepeta mussini) is an altogether different type of herb. Catmint’s effect on cats is not as strong as that of catnip. Catnip is native to Europe but it has adapted well to North America where you can grow it easily. Catnip favors almost any type soil but it grows better in average, well-drained soil. This herb also likes lots of sun but it tolerates some shade. You can grow catnip in planting zones 3 through 9. 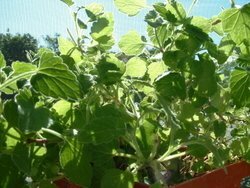 You can also grow catnip indoors as long as it gets some exposure to sunshine, preferably several hours a day. Catnip is best known for its effect on cats (both wild and domestic). Felines can get very euphoric after eating or chewing catnip. If you have a cat, you know what I'm talking about. Growing your own catnip plant (or plants) will allow your cat to have access to a fresh supply of this herb. Your kitty will surely be delighted. You don't have any gardening experience? No problem. You don’t have to be an experienced gardener to grow catnip. This article about growing catnip has plenty of tips to help you get started. Interestingly, humans can also benefit from catnip. For example, catnip tea is a natural relaxer and it may be used to alleviate many aches and pains. 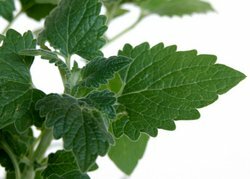 Catnip oil can be used as an insect repellent while dried catnip leaves can be used as meat tenderizer. 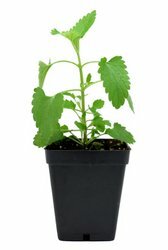 If you don’t want to grow your own catnip plant, you can buy seedlings from local nurseries or you can buy them online from a reputable online merchant. The following items are brought to you in affiliation with Amazon.com. They include catnip and catmint plants as well as user-friendly kits. By the way, these make great gifts for cat lovers who also love gardening. Growing cat-nip - Quick and easy tips to help you grow your own cat-nip. Cat-nip toys galore - Your cat will love them.